Nothing quite says “vacation” like a much-needed spa day. Let all of your worries melt away under the hot Florida sun. Then, opt for a massage or a facial at one of the best spas on Amelia Island! Continue reading to learn more about the area’s spas and the services they offer. Then, be sure to check out our Vacation Guide for more thoughtful suggestions to include in your itinerary! Maybe you’d like to let go of some stress from your work week. Perhaps you’re hoping to get dolled up for a night out in downtown Fernandina Beach. Regardless of what draws you to the idea of indulging in a spa day, we’re here to tell you that you deserve it! It’s important to treat yourself every now and again. Take your vacation to the next level at one of the best Fernandina Beach spas. Choose between deluxe spa services such as a sea salt body polish treatment or a Swedish massage at Magna’s Salon. Customize a facial to suit your skincare needs or freshen up your look with a new haircut. You’re guaranteed to leave feeling refreshed! Have you ever wanted to try trigger point therapy, hot stone therapy, or microcurrent face and body sculpting? Coastal Massage Therapy offers an array of unique, specialized spa services that will revitalize your senses. For a tried and true massage experience, stick with the deep-tissue. If you’re in a time crunch, you can even get an “express” facial! Splurge on an unparalleled experience at the Ritz-Carlton Spa. Rediscover your glow when you treat yourself to some of their luxurious spa services. Balance your chakras. Experience “heaven in a hammock.” Or, try something totally new like the CBD Relief and Recovery treatment. From couple massages and specialized women’s spa services to steam showers and a Plantation Blossom Ritual, the spa at Omni Amelia Island Plantation has it all. This full-service salon also offers haircuts, styling, makeup, manicures, pedicures, and more! Another perk is that they provide herbal teas and organic citrus water along with various eats off of their “light bites” menu! 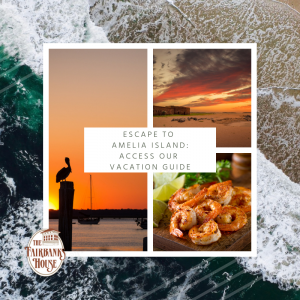 At Fairbanks House, we provide guests with a variety of specials and packages to make their Fernandina Beach experience unforgettable. Consider adding the Make Me Over Package to your stay. It includes a 60-minute facial, haircut and style, makeup application, and a brand new outfit! The salon makeover will take place at CorMier Hair Studio, and the outfit will be selected at Pippi’s Consignment Cottage, one of the best shops in the area! You might also consider the Girls Just Want to Have Fun Getaway Package if you’re planning a girls’ weekend! Spending a day at the spa on Amelia Island is just one of the amazing things to do in the area. Make the most of your vacation by staying with us! Our accommodations set the scene for a getaway of a lifetime.